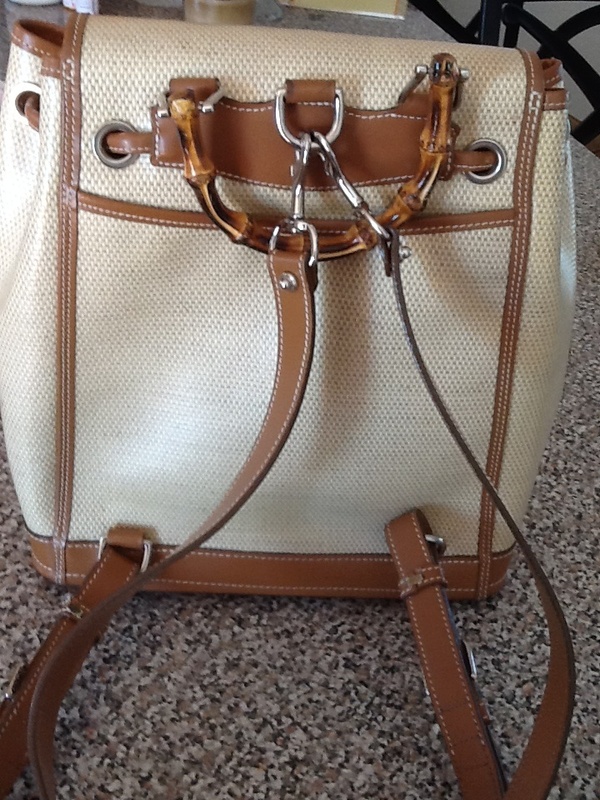 Woven Material Backpack – Is it authentic Dooney & Bourke? 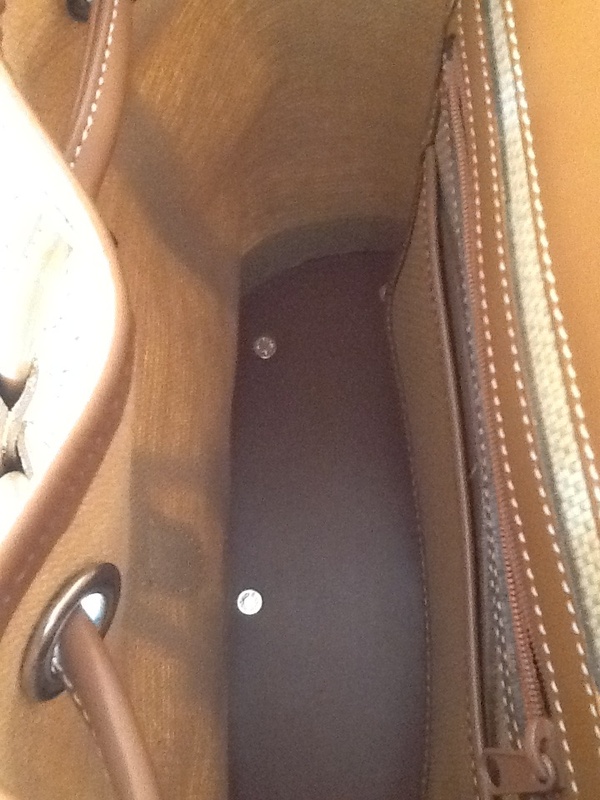 I just viewed your site and would like to get your opinion on a Dooney Backpack I purchased on eBay several years ago. It is a beautiful bag, but the material it is made from is very different. 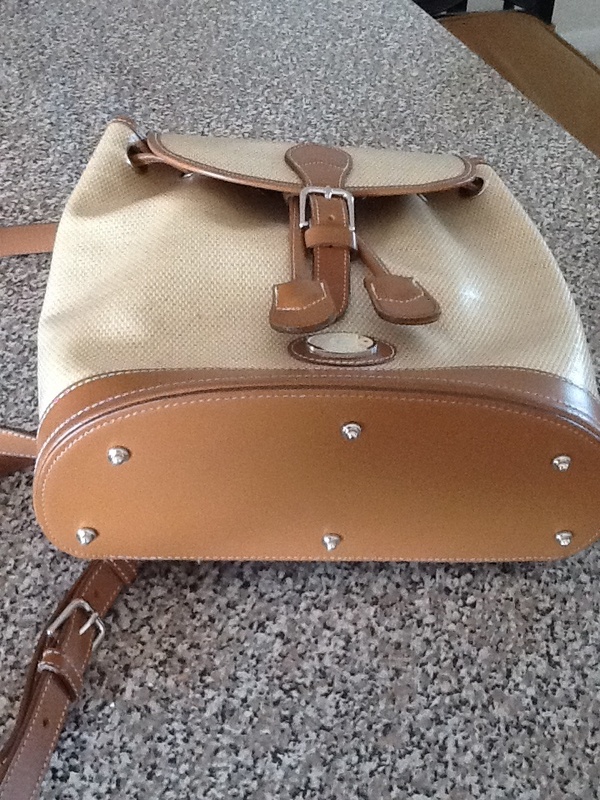 It is a cream colored bag with light brown trim. The appearance of the material looks like a type of weave. Everything on the bag appears authentic and has the red white and blue tag sewn in with number a210947. I have never used it and is still like new, the only defect is that the tag is snipped. 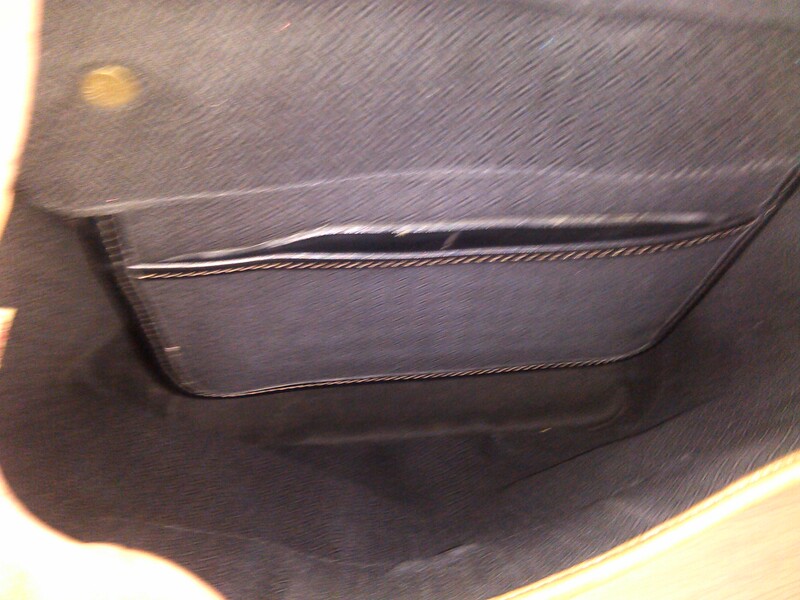 The bottom of the bag is solid with small metal posts in which to set it down. It also has a handle that has the appearance of bamboo. I would like to sell it and need to get an idea of what it is worth. Thank you for you time! Since this is not an All Weather Leather bag and it is not a vintage bag, I am not personally familiar with it. But I do see it in my Spring 2000 catalog which means it came out around that time period. I don’t know exactly when it was released or for how long it was offered but I do see it on page 14-15 of that catalog. So it is at least 13 years old. It is part of the Panama Collection which is highlighted in that catalog so likely was a new offering. . The exterior is a linen weave that has been treated. Yours is Backpack I 912 – that is a capital I in front of the 912 not a one. Yes, that is a bamboo handle. The retail price in 2000 was $335. However, because yours has a snipped tag, it was likely sold as a second, defective, and without a registration card, possibly at an outlet store. Can You Help me Identify this backpack? 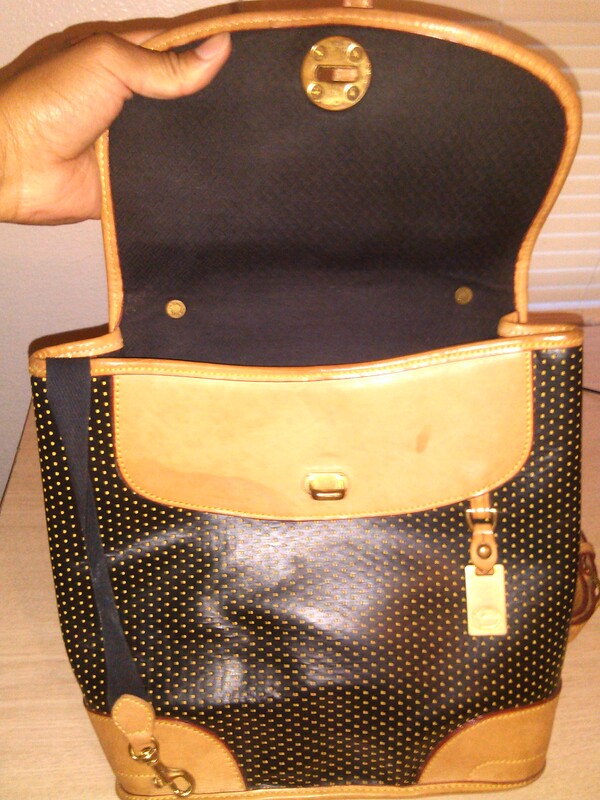 So I have this leather Dooney and Bourke backpack, and I’d like to know its worth. I’ve tried searching online both, the number on the metal clasp, and the number on the back of the tag, but I can’t seem to find any information about this bag. Could you please help? This is a little out of my realm since we deal in vintage All Weather Leather bags. But I looked it up in my catalogs and here is the scoop. Sold new for $295 in 1999. You show the back of the tag but not the front. 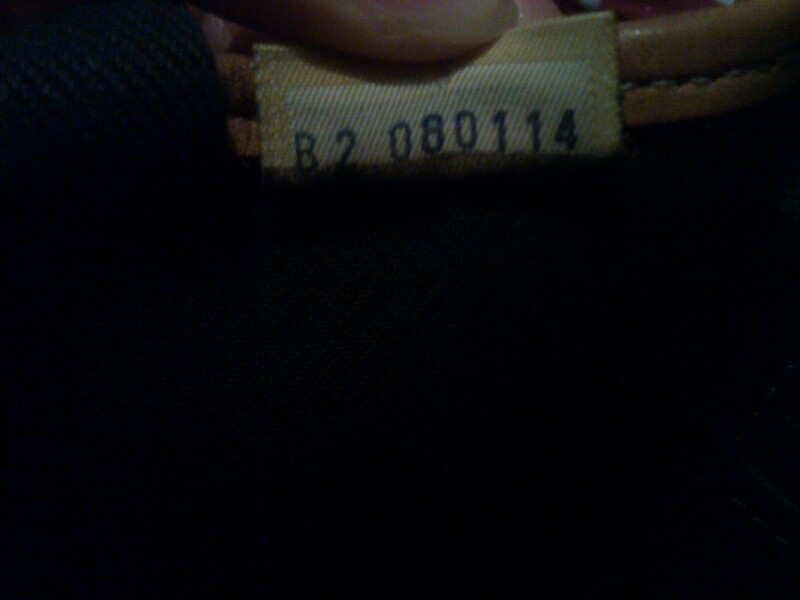 Does it say Made in USA? As far as its worth, I can’t tell from photos – that will depend on condition. The Sherpa Backpack is HUGE. Because you can really load it up, it comes with padded, two-tone shoulder straps for carrying comfort – and they are adjustable so you can position the load where you want it. The Large Drawstring Sherpa Backpack has the number 13 and when the bag has British Tan trim, the designation is R in front of the number. So this rare Palomino Sherpa Backpack is R13. I really like this bag. It is the AWL drawstring sling in Navy. It is listed as small. Does it come in any other sizes? you will see Small and Large bags, so yes, this does come in Large. 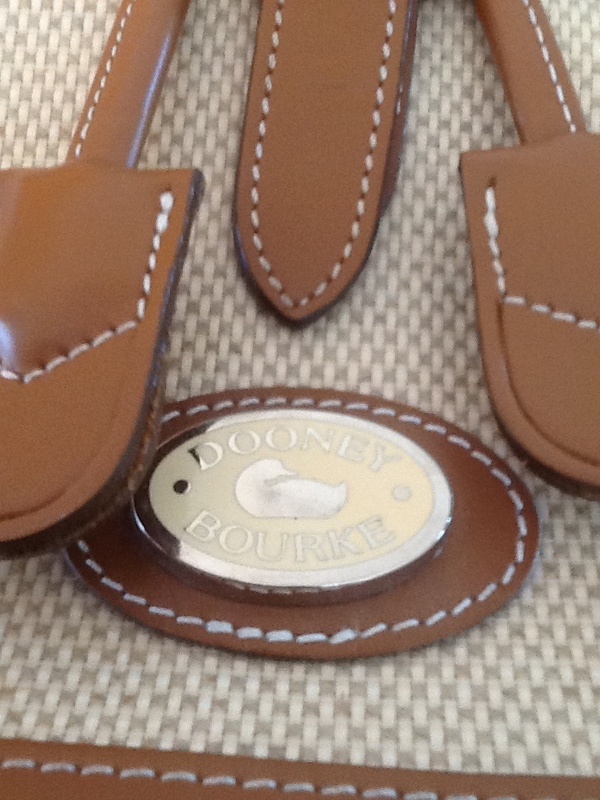 Dooney & Bourke often uses the word Small just to differentiate between various models of the same bag – the small bags are often quite roomy. Use the dimensions to tell you if the bag seems small or large to you ! And, when do you replenish inventory? so you can look at that every so often to see what we have just listed. My main question is about the price. I see some bags listed for $275 when it states that it retailed for $265 in 1996. Why would a used bag cost more than a new one? The prices includes shipping to the US. These are vintage collectible bags because they are the ones made in the USA. 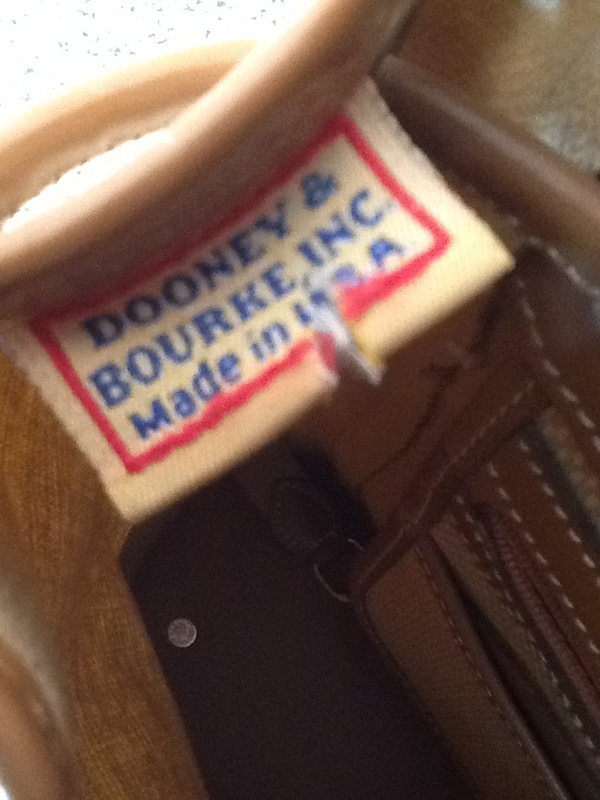 Dooney & Bourke bags are no longer made in the USA. The vintage All Weather Leather bags that we carry were made in the USA. What about the rating system? 6 Fair Might need a cleaning, minor repair – details will note this. These bags are usually located in our Grab Bag section. Some might be in excellent shape except for one stain or blemish. Read the details and look at the photos. We usually only try to offer bags that are 9s and 10s but sometimes when someone wants to sell us a lot, it might contain some 7s and 8s or perhaps even a 6. When we buy those lots, we put the more worn bags in our “grab bag” section. I went to the mall today and every D&B I looked at was Made in China. 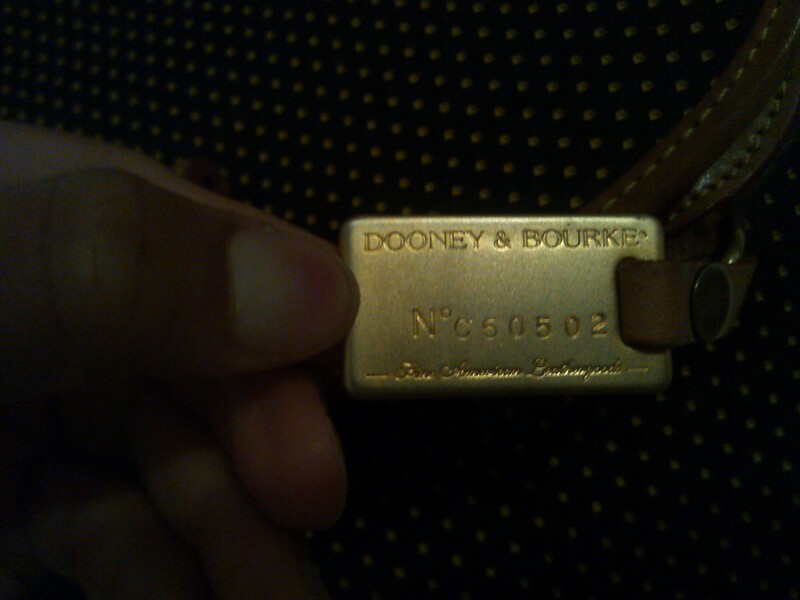 I called the Dooney & Bourke web site and they wouldn’t tell me which purses were made where. I really want a Dooney made here but I don’t know if new is an option anymore.